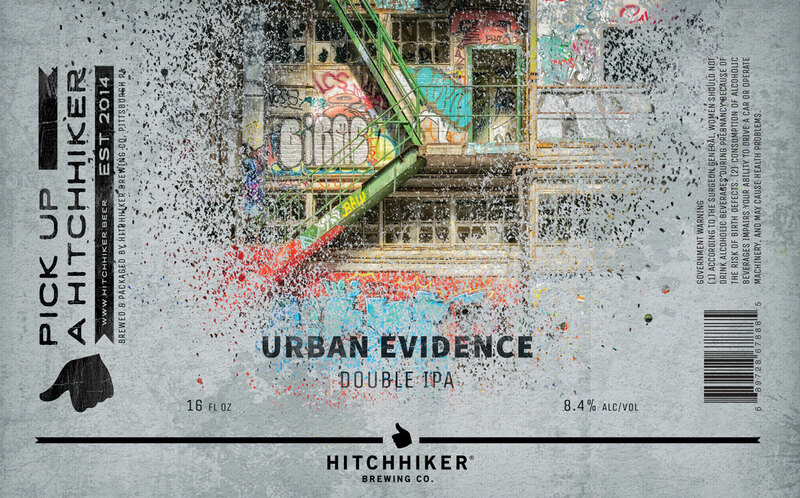 Urban Evidence | Hitchhiker Brewing Co. Brewed with Wheat and Oats. Hopped with Galaxy and Mosaic. Notes of tropical fruit, blueberry, and pine.